This division of MWW Inc. was just getting started. It needed a logo, branding style guide, website, business cards and an updated product catalog. The brand has gone global and their current revenue is over 50 Million a year in B2B sales. The client was thrilled with the design work and art direction for the brand and marketing. I also created materials for their other 5 divisions including hang tags, packaging and 3 additional websites. 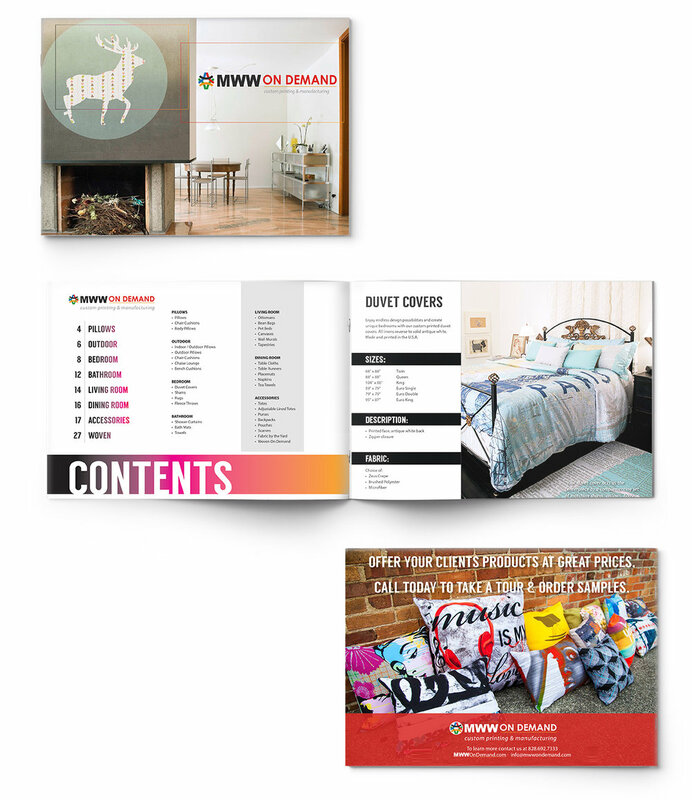 View our MWW ON DEMAND catalog as a sample of graphic design work. Logo and Branding Style Guides, Letterhead, 3 Websites, Catalog Development, Video Editing, Online Marketing Campaigns, Social Media Advertisements, Print Collateral, Packaging, Mailchimp Newsletter Design and SEO.